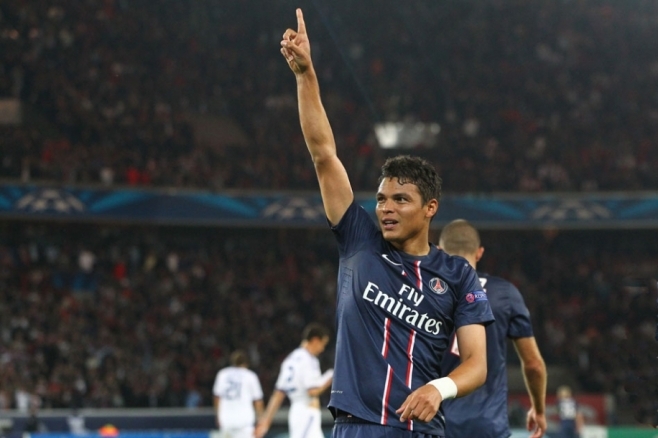 Brazil captain Thiago Silva has thanked God and his family after he was named in the FIFA team of the year for 2013. The Paris Saint-Germain defender was voted into the team for the first time in his career and he told PSG TV how pleased he was to be chosen. He made a point of thanking his international and club level team mates as well. “I want to thank God for this unique moment that gives me the opportunity to live in my career but also in my life. In a final thank you, Silva showed his gratitude to anyone that voted for him in this years award. The 29-year-old now wants to be selected next year and will do his best to continue playing at his current exceptional level.